The Polk Buckle are well-made, sturdy headphones that sound a little dark and bass-heavy. 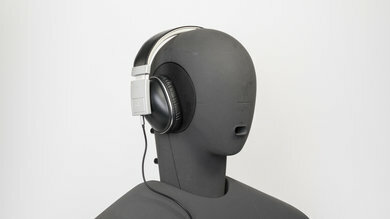 They look and feel high-end, and they're sufficiently comfortable for most listeners. Unfortunately, they have a rigid design that's not very portable and they don't block a lot of noise so they won't be the ideal option for commuting. On the upside, they barely leak even at higher volumes. Sturdy and durable build quality. 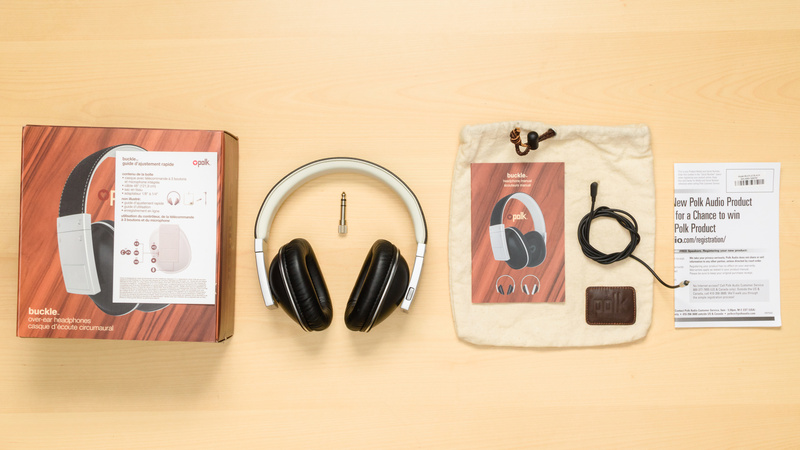 The Polk Buckle are premium and durable-looking headphones. They're comfortable and stable enough to jog with, although, they won't be the ideal headphones for sports due to their slightly bulky and cumbersome design. 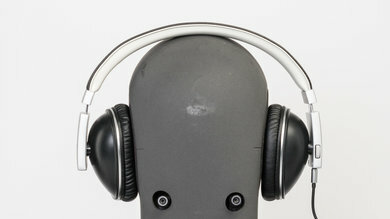 They have a good control scheme and a unique look that stands out from other headphones, but they're also slightly heavy and a bit tight on the head. 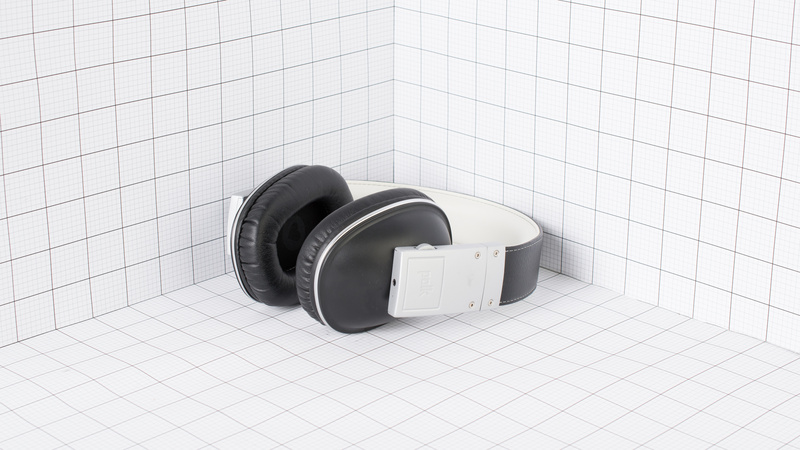 The buckle have a premium aesthetic that makes the headphones look high-end and expensive. 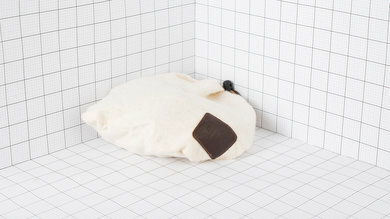 The headband is covered with faux leather and the ear cup padding is soft and well-made. 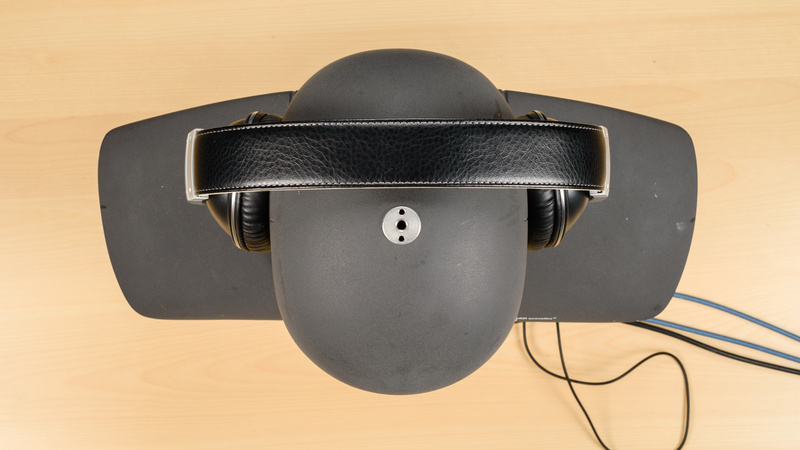 The ear cups are mounted on a swivel hinge on the inside of the headband which gives the headphones an old-school design. They come in two color scheme; black with silver accents and brown. They will easily stand out in a crowd although they may not look as good for all listeners. 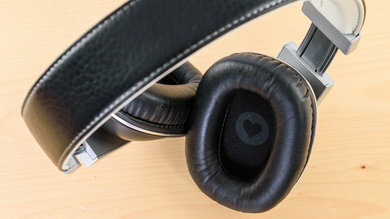 The Polk Buckle are well-padded, decently comfortable headphones that feel a bit tight on the head. They're also somewhat heavy for their size but thanks to the amply padded headband and ear cups the weight and tension is more evenly distributed around your ears. The Buckle have a good and efficient control scheme. There's only one general purpose toggle that provides the basic functions for call/music, track skipping, and volume control. It's easy to use, but feedback is not always the best. When trying to pause tracks, you can accidentally turn up the volume which is not ideal but doesn't take too long to get familiar with. The Polk Buckle are relatively small for an over-ear design but do not fold which makes them slightly cumbersome to carry around on your person. 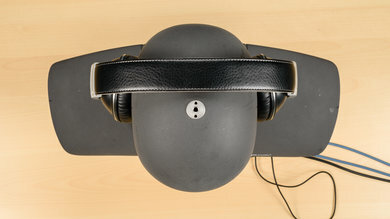 The ear cups do not lay flat either so unless you have a bag they won't be the most practical headphones that you can keep on you at all times. Comes with a stylized cloth pouch that will protect the Buckle from minor scratches and scuffs while they're in your bag. Unfortunately, since it's a soft pouch, it won't shield your headphones against impacts and accidental drops which is slightly disappointing. The Buckle have a sturdy design and use a lot of premium materials in their build quality. They won't break from a few accidental drops, and the cable is replaceable in case it gets damaged through regular wear and tear. 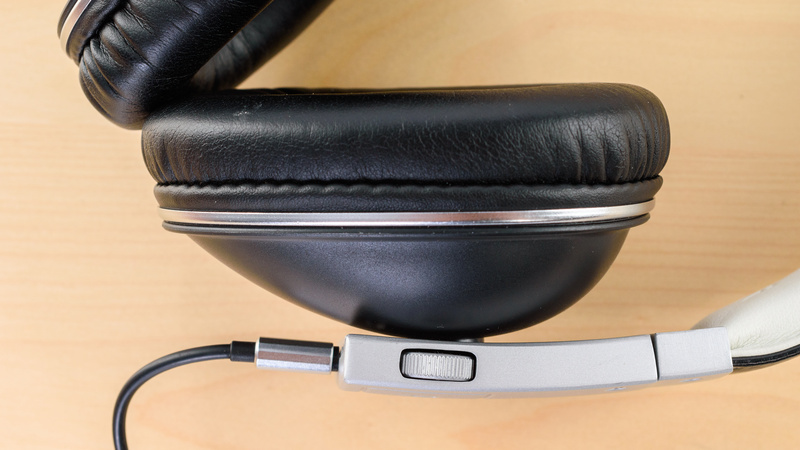 Unfortunately, the ear cup hinges are the most susceptible points where these headphones could get damaged. The multi-purpose toggle is also mounted on a spring mechanism which may get worn out after repeated use. These headphones are decently stable. They're tight enough that they don't move much during casual listening sessions and even during a light jog. However, the bulky design and heavy ear cups do sway a bit under more strenuous conditions, so they won't be the best headphones to take to the gym. 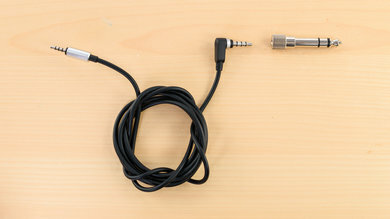 On the upside, the audio cable will disconnect pretty easily if it gets hooked on something. Comes with a 1/8"TRS-TRS audio cable. The Polk Buckle is an average-sounding pair of closed-back over-ear headphones. They have a well-extended and powerful Bass, a very good Mid Range, and relatively low distortion. However, their Bass can be overpowering, their Mid Range tends to be slightly muddy and forward, and their Treble is lacking in presence and brightness. Additionally, they may lose some of their Bass if your glasses break the air-tight seal between the headphones and your head. They also don't have the most open and spacious Soundstage due to their closed-back design. Good Bass Range performance. 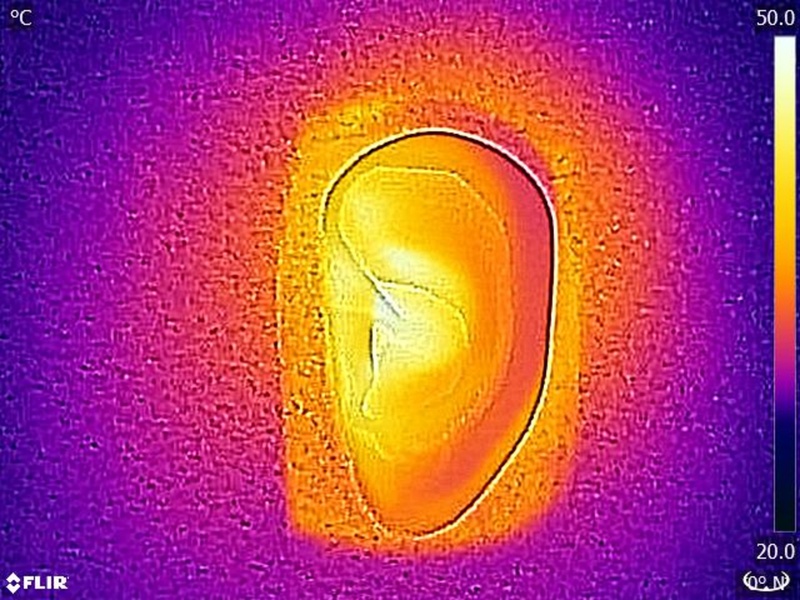 Low-frequency extension is at 10Hz which is excellent. The entire Bass response is flat but consistently over our target by more than 3dB, making these headphones slightly Bass-heavy. Very good Mid Range. Low-mid and mid are relatively flat, but emphasized by 3dB. This makes the Mid Range of the Buckle slightly muddy and forward sounding, bringing vocals/leads to the front of the mix. Sub-par Treble Range performance. Low-treble is under our target by more than 3dB, decreasing the intensity and projection of vocals/leads. Treble is underemphasized by more than 7dB, negatively affecting the presence and brightness of vocals/leads. Average consistency performance. 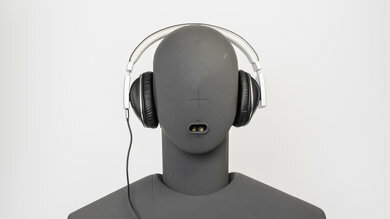 The Bass Range performance is susceptible to inconsistencies due to the positioning preferences and head shape/size of the listener, especially if they are wearing glasses. However, amount of deviation in the Treble Range is low and within good limits. Good Harmonic Distortion performance. The amount of harmonic distortion in the Bass Range is elevated, but humans are not very sensitive to low frequency distortion. However, the peak at 4KHz, could have a negative effect on that frequency range by making them slightly harsh sounding. The Buckle are decent headphones to use in quieter environments thanks to their very low leakage. Unfortunately, they don't block a lot of noise and won't be the ideal option for commuting. Ambient noise easily seeps into the ear cups despite being closed back headphones but on the upside, since they have very low leakage you can mask some of the noise by listening to your music at higher volumes. Poor Isolation. 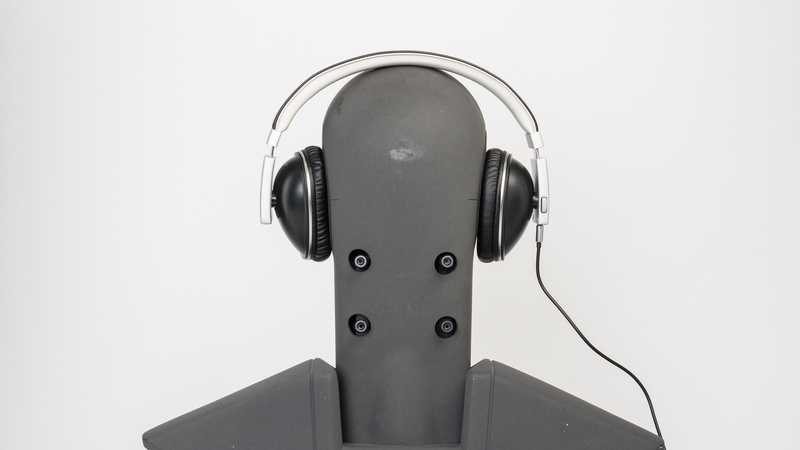 These headphones do not have active noise cancelling and do not isolate in the Bass Range. 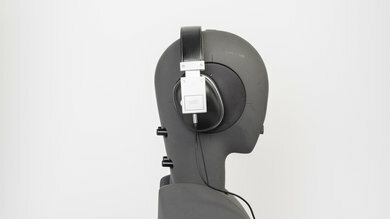 In the Mid Range, they achieve about 4dB of isolation which is poor. In the Treble Range, they isolate the outside noise by about 27dB, which is decent. Very good Leakage performance. The significant portion of the leakage is spread between 300Hz and 4KHz, which is a relatively broad range. However, the overall level of leakage is quite low. Mediocre-at-best for mixed usage. 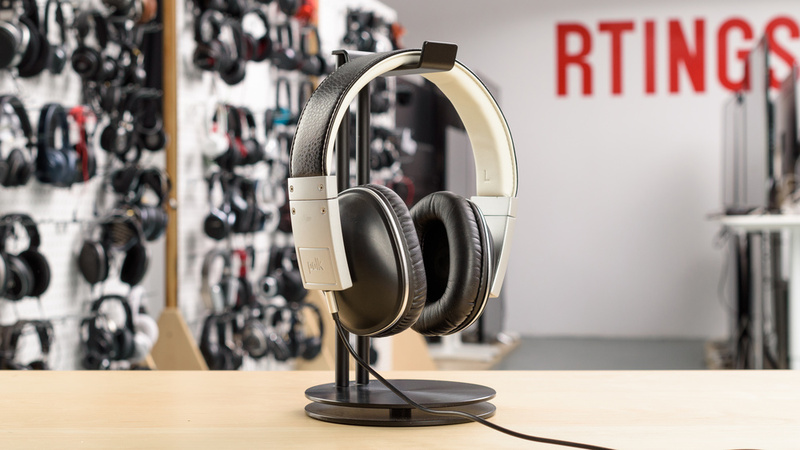 They're well-built premium looking headphones with a decently comfortable design and very low leakage. This makes them a decent option for office use and they have a good enough sound to be average headphones for critical listening. Unfortunately, they do not block a lot of noise and they're not portable so they won't be the best headphones for commuting or for sports. Decent for critical listening. They have a slightly elevated bass that bleeds into the mid-range, which makes their sound a little muddy and boomy. That and the tapered high-frequencies, as well as the limited soundstage, due to their closed-back design, makes the Polk Buckle sound a bit dark overall. 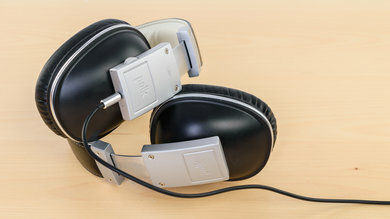 They're still balanced and comfortable enough to satisfy most casual listeners, especially fans of a deep rumbling bass-range. But unfortunately, they won't be the ideal headphones for more critical listeners. Subpar for commuting. They don't block a lot of noise, and they're kind of bulky and cumbersome to carry around on your person. On the upside, they're comfortable and have a good control scheme. Mediocre for sports. They're a bit too bulky and unstable to use while running. They're also not particularly breathable headphones, so your ears will get quite hot when exercising with these headphones on. Mediocre-at-best for office use. They won't block the chatter of a busy office but they do not leak much at high volumes so they will rarely distract your colleagues. Average for home theater use. They have a decent sound, and they're somewhat comfortable. They're also wired, so they have no latency when watching videos, but the cable may not be long enough for you to comfortably watch movies from your couch unless you have an audio cable extension.